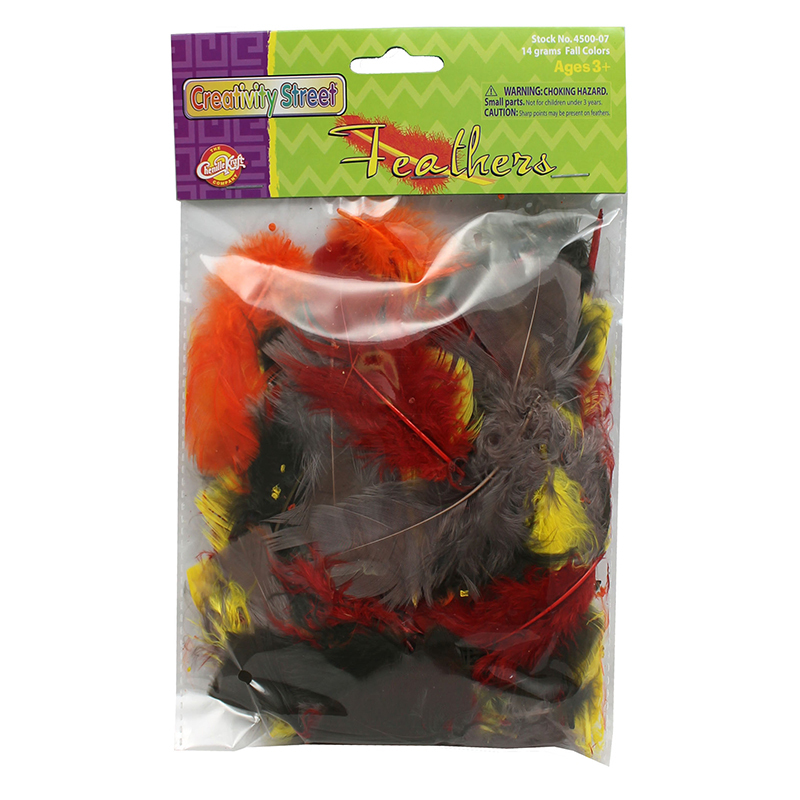 Dyed guinea fowl feathers with unique spotted designs in a variety of assorted colors. Each pack includes 7 grams in assorted colors. Sold as 6 packs. 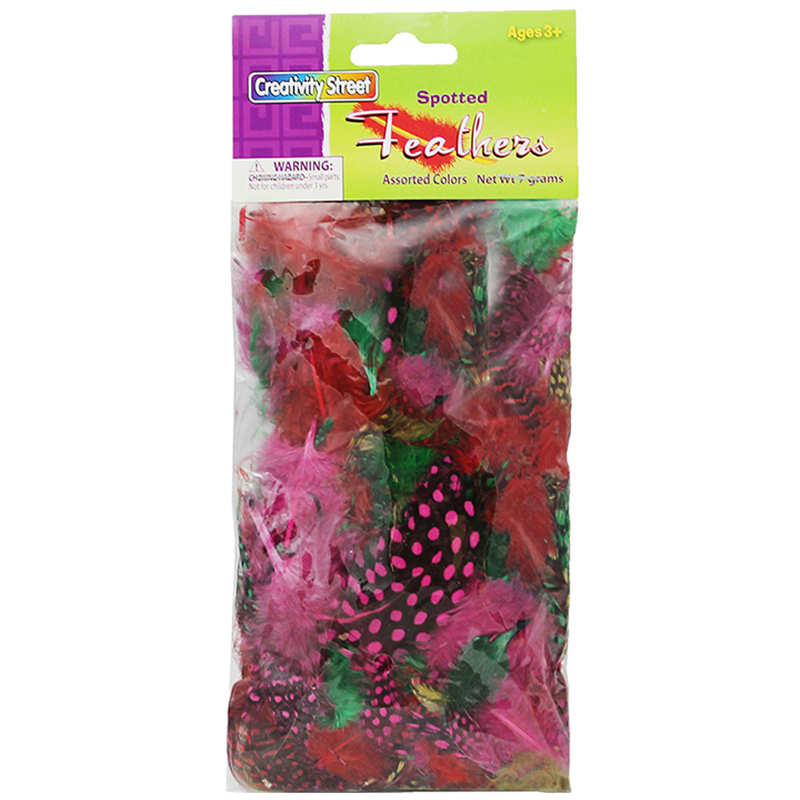 The (6 Pk) Spotted Feathers can be found in our Feathers product category within the Arts & Crafts. Make a bright statement with colorful feathers. 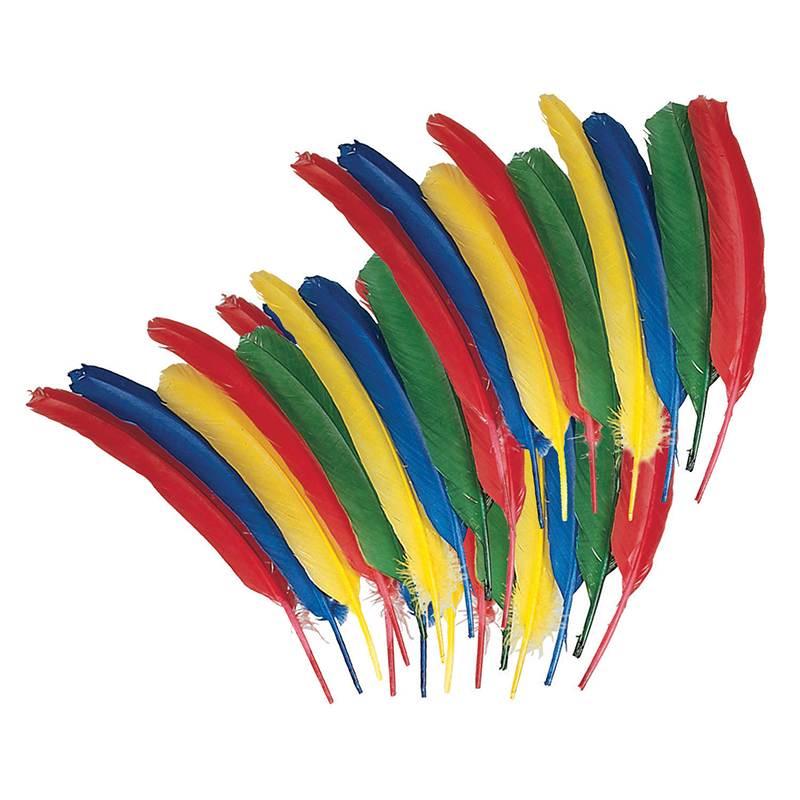 These large, brilliant feathers are perfect for all kinds of art projects, costumes and props. Quill feathers are approximately 12" in length. Each pack includes 6 each of blue, red, green and yellow. Sold as 6 packs for a total of 144 feathers.